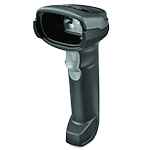 GAIN EFFICIENCY WITH BARCODE SCANNERS. Whether you are tracking and managing your assets in a coffee shop, retail store, on a forklift or in a hospital, Bar Code Direct has scanners fit for any workplace environment. 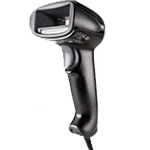 We offer a comprehensive selection of tested barcode readers with a variety of scanning options, which include lasers and imagers. Integrating the right barcode scanners will help enhance your team’s workflow, efficiency, and boost their performance. Let us help you find the best solution for your enterprise. 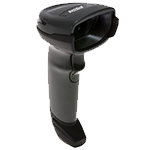 Barcode Scanners work across a wide range of applications. These scanning solutions help provide extraordinary flexibility and keep your internal processes efficient. 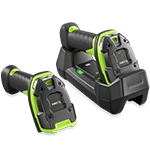 Rugged duty industrial scanners offer extreme durability along with unmatched scanning performance. From reading damaged barcodes to scanning rack and shelf labels from long distances, these units maximize productivity in the toughest environments. Give your healthcare professionals the next-generation scanning technology. We carry a large line of specialized scanners that support various applications from medication administration and specimen collection to patient tracking. Scan it all at an affordable price. With the Zebra DS2200 Series you will have access to full 1D/2D imaging capabilities, universal cables, and the choice of cord or cordless devices. The DS4308 delivers extraordinary flexibility and performance in a handheld scanner, allowing you to scan nearer and farther than any other scanner in this class. It does the job of two scanners and eliminates the need to purchase separate standard and extended range scanners. 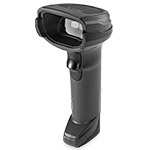 Scan continuously for up to 24 hours with the smart battery-powered Zebra DS8100 series scanners. You can keep your team scanning efficiently with the capability to scan both 1D and 2D barcodes. With the Wi-Fi Friendly Mode, you can implement Bluetooth cordless models without creating interference on your wireless LAN. 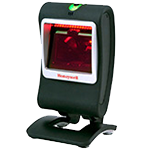 Provides industry-leading scanning speed and true point-and-shoot scanning simplicity to keep your workers productive. The DS9208 prints retail labels that identify product and pricing to mobile coupons, mobile gift and loyalty cards, boarding passes, and even theater tickets. 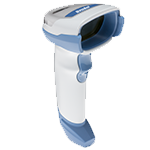 An advanced color area-imaging scanner, the Xenon 1900 series features a custom sensor that's optimized for aggressive barcode scanning. Reliable for its high-performing data collection use. 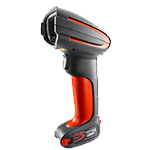 Powered by super-capacitors, the Xenon 1902G area-imager scanner is capable of scanning over 450 barcodes and can be recharged in less than 60 seconds. It offers the freedom of wireless connectivity and industry-leading performance and reliability. The 7580g scanner packs breakthrough performance into a versatile and durable design. Manufacturing, healthcare, and retail point-of-sale will benefit from hands-free, presentation scanning. 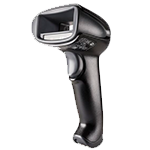 A high-achiever, it captures up to 15 barcodes in a single flash and supports menu-scanning. Give your healthcare professionals the optimal tools to perform faster and more accurately with the Zebra DS8100-HC series of scanners. From medication administration to specimen collection, deliver maximum protection against the spread of bacteria and streamline patient care workflows. 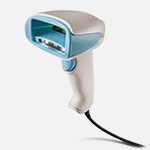 Brings next-generation scanning technology to workstations-on-wheels, allowing caregivers to scan virtually any barcode, in any condition. The DS4308-HC does it all -- electronic or printed-on-paper labels, dense codes on the curved surfaces, and even smudged or poorly printed barcodes. Drop-proof, dust-proof, and waterproof, the DS3600 & LI3600 Ultra Rugged Series is able to withstand the harshest work environments. 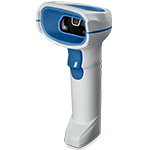 Providing superior scanning performance on virtually any barcode, these rugged scanners heavily reduce management time and costs to keep your business running efficiently. 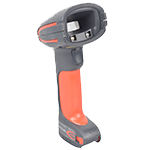 User-friendly and durable to withstand demanding conditions, the Granit 1980i and 1981i are capable of reading 1D and 2D barcodes. With an unmatched range and the option of wireless freedom, these scanners maximize operator productivity in the harshest environments. Featuring a custom-built housing designed to survive 5,000 tumbles and 50 drops to concrete, the Granit 191Xi scanners will give your team the confidence it needs in the harshest working environments. 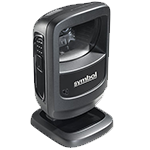 These high-performing scanners keep up with your most challenging business demands.